Here some cogent learnings shared by the Boston, MA cluster Area Teaching Committe on effective means for establishing children’s classes in a community. Among the greatest of all services that can possibly be rendered by man to Almighty God is the education and training of children. Classes for the spiritual education of children and junior youth serve to strengthen the roots of the Faith in the local population… Whatever the nature of the cluster, it is imperative to pay close attention to children and junior youth everywhere. Concern for the moral and spiritual education of young people is asserting itself forcefully on the consciousness of humanity, and no attempt at community building can afford to ignore it. Confidence is patiently built as the friends engage in progressively more complex and demanding acts of service. [It is] important…that every soul feel welcome to join the community in contributing to the betterment of society, commencing a path of service to humanity on which, at the outset or further along, formal enrolment can occur. The significance of this development should not be underestimated. In every cluster, once a consistent pattern of action is in place, attention needs to be given to extending it more broadly through a network of co-workers and acquaintances, while energies are, at the same time, focused on smaller pockets of the population, each of which should become a centre of intense activity…. 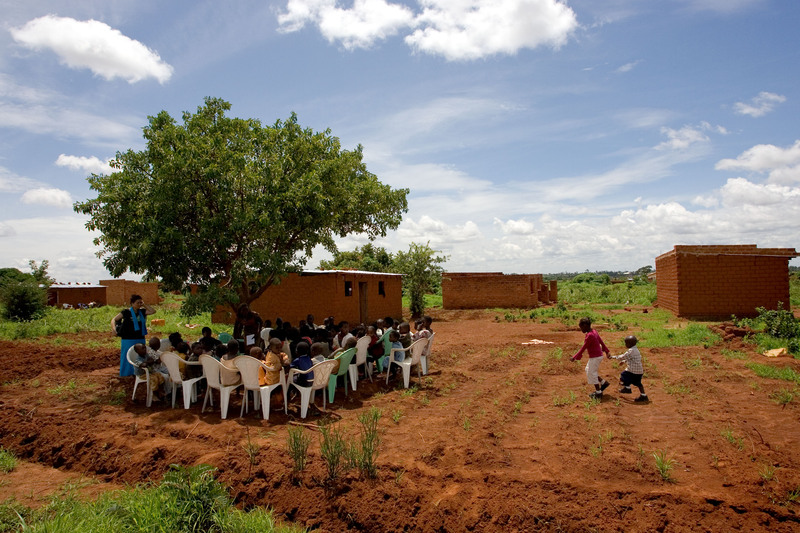 In every cluster with an intensive programme of growth in operation, efforts need to be made to systematize further the provision of spiritual education to increasing numbers of children, from families of many backgrounds—a requisite of the community-building process gathering momentum in neighbourhoods and villages. The activities that drive this process, and in which newly found friends are invited to engage—meetings that strengthen the devotional character of the community; classes that nurture the tender hearts and minds of children; groups that channel the surging energies of junior youth; circles of study, open to all… —may well need to be maintained with assistance from outside the local population for a time. It is to be expected, however, that the multiplication of these core activities would soon be sustained by human resources indigenous to the neighbourhood or village itself—by men and women eager to improve material and spiritual conditions in their surroundings. A rhythm of community life should gradually emerge, then, commensurate with the capacity of an expanding nucleus of individuals committed to Bahá’u’lláh’s vision of a new World Order.